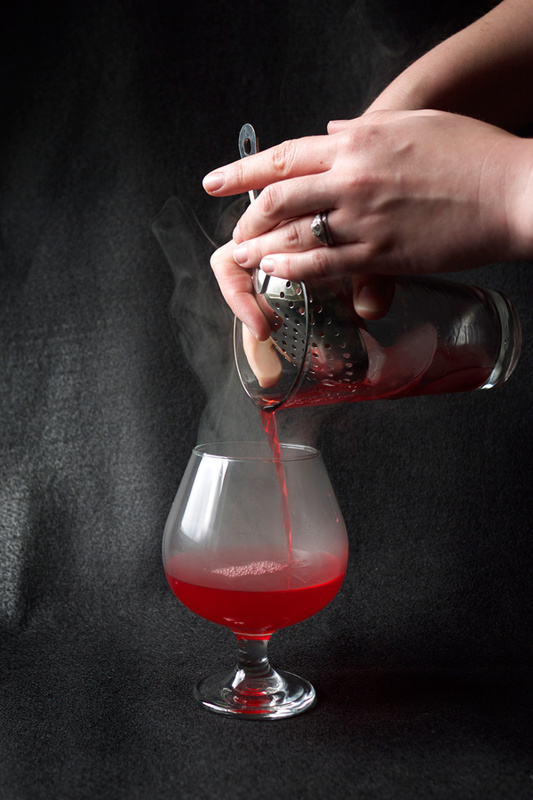 Mixology Monday LXXVII Roundup: SMOKE! A BIG thanks to everyone who participated in this month’s Mixoloy Monday! Recipes that call for setting something on fire hold a dear place in my heart. 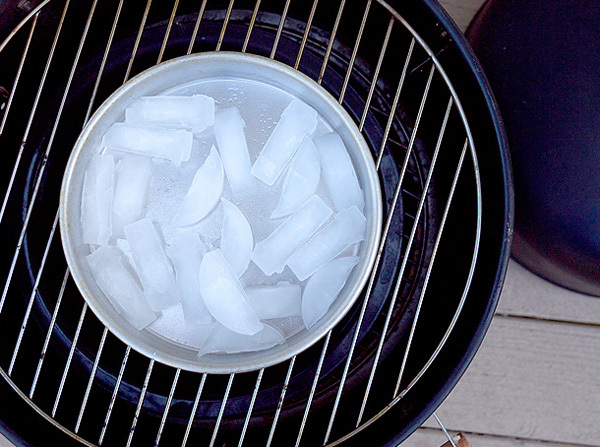 So many impressive posts, and a number of participants even put up multiple recipes, showcasing tons of ways to get smoke into a cocktail. To the newbies, welcome to the party. For those of you coming out of hibernation, welcome back! And to those familiar faces here, thanks for sticking around. All of you make this close-knit community a fun place to be. So let’s begin at the beginning. After the jump! A few weeks ago I attended just one of the many events at the LA Food and Wine Festival. Grant Achatz was presenting a cocktail demo with the head bartender at Chicago’s The Aviary, Charles Joly. There was lots of wowing the audience with juice stock and dry ice, but what stuck out for me the most was the idea of Aroma in cocktails. 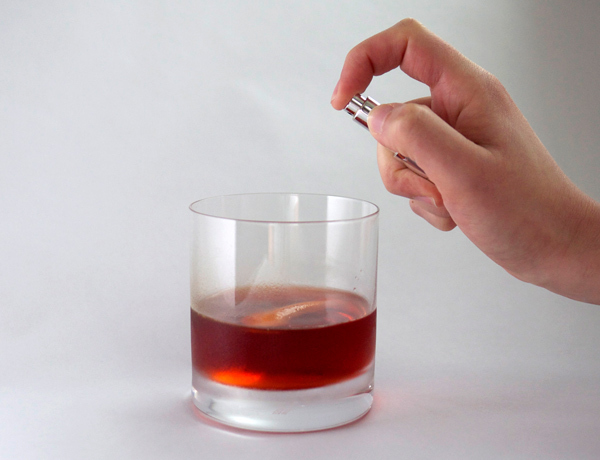 Their idea was to play on aroma and create a smell for some cocktails that when you tasted the drink, did not exist in it. Are you all following me? So that got my nerd brain going with what aromas I’d like to accompany cocktails, but not necessarily put IN the drink. 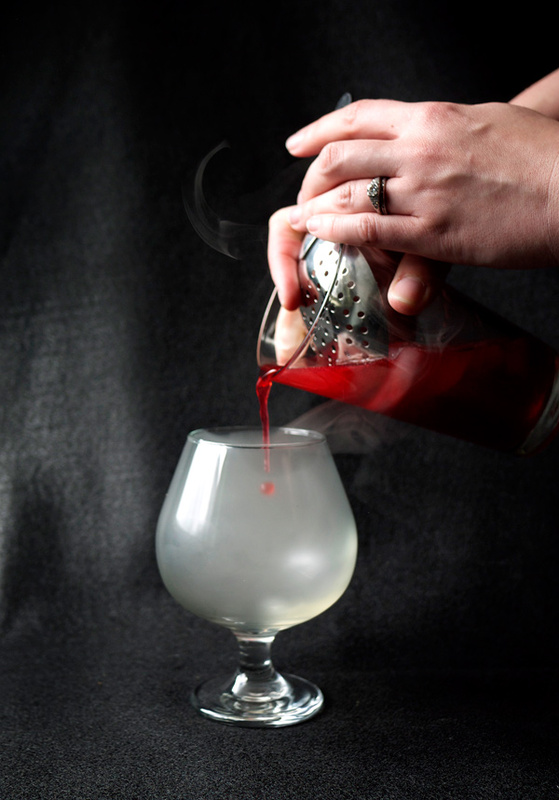 This month I’ve been playing around with ideas for Mixology Monday, the theme being SMOKE. This seemed like an interesting path to follow and see where it went. I am, in all honesty, still very much amateur status when it comes to all things behind the bar. 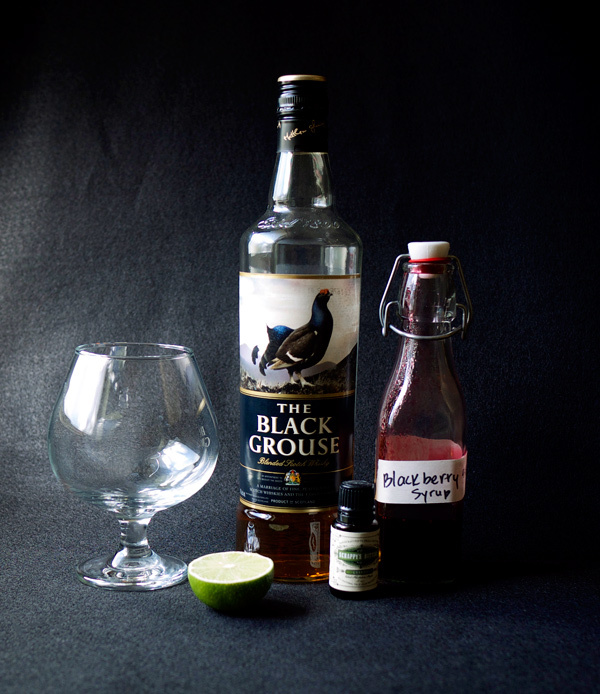 I’ve definitely broadened my scope of these items over the past few years (like how to say Cynar correctly), but for awhile the idea of tinctures seemed mildly hazy to me. Aren’t these just infusions? Why a separate name? Well, I read a bit for this post and pretty much what it came down to is that a tincture is the essence of the ingredient you steep in a neutral grain alcohol. 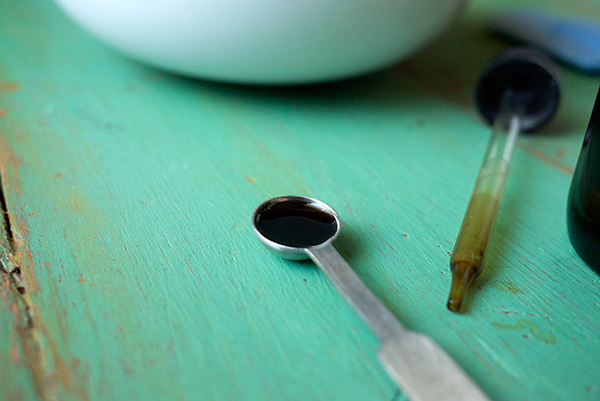 It can be used in small amounts by itself, or added with more ingredients for compounds like bitters. Because it is steeped in a high proof alcohol, you don’t shoot it back in a giant gulp. It would also probably taste awful. With an infusion, you are also extracting the essence of what you are putting into the alcohol, but it is co-mingling with the base spirit for a new combined flavor. 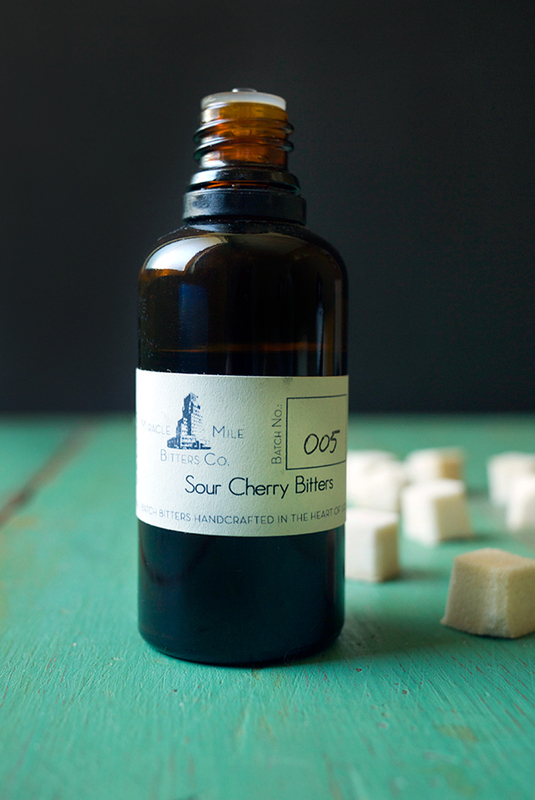 You might see sour cherry bourbon, lemon lavender gin, something along those lines. When I think aroma, my mind naturally moves towards perfume. Now, before I lose all you men out there, check this article out from the New York Times last year. The Pegu Club, PDT, these big timers have been using aroma, perfume even, in cocktails for awhile now. Perhaps for us New Wave Cocktail Bloggers this is brand new, but treading into this territory we find the path already laid out for us. So, give perfume a try I guess. 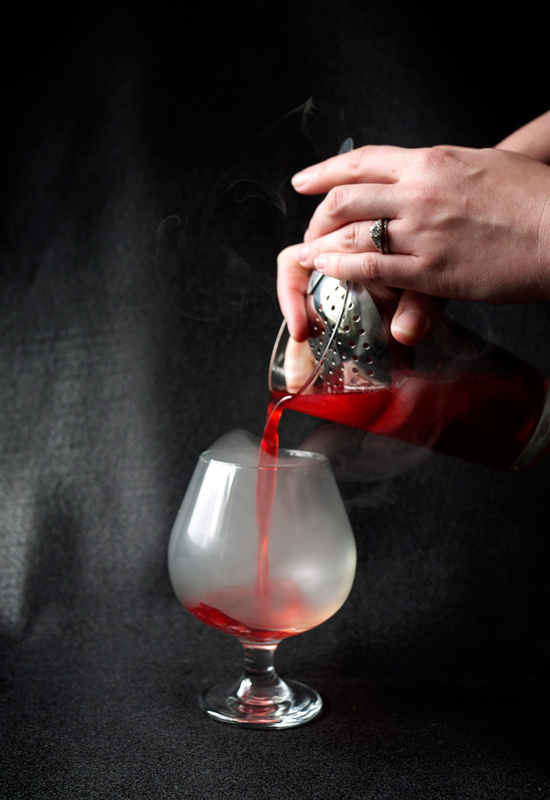 For this particular use of smoke in a cocktail, I didn’t want the drink to continue to be steeped in smoke. What I wanted here was for the initial smell to be a deep, meaty smoke aroma, and then when tasted, you were only getting the cocktail. 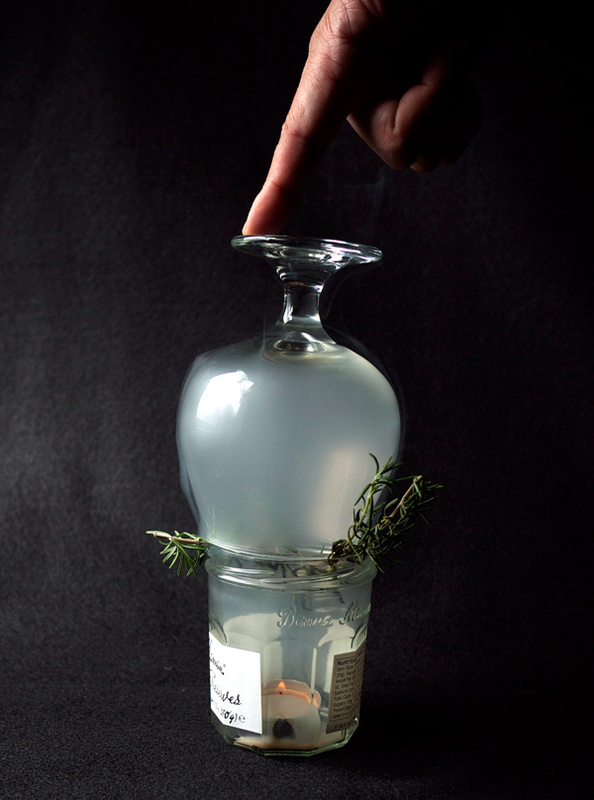 This beautiful smoky aroma would make the drink a surprise for the person drinking it, hopefully a pleasant shock. The aroma would then dissipate as one continued to finish the drink. I chose a Boulevardier to accompany the smoke aroma. 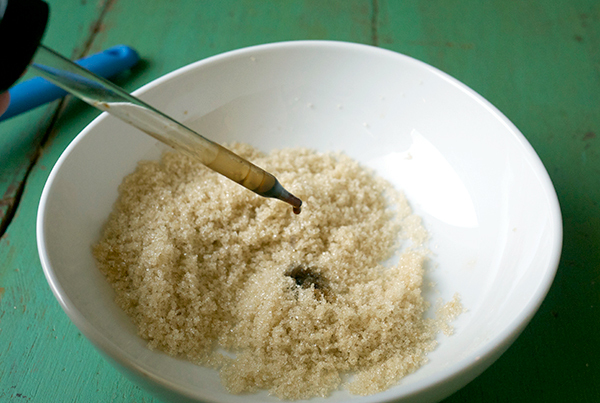 Combine the two ingredients in an airtight glass container. Let sit for two weeks in a cool, dark place. Gently shaking every few days. After two weeks, strain with a fine mesh strainer with a double layer of cheesecloth. 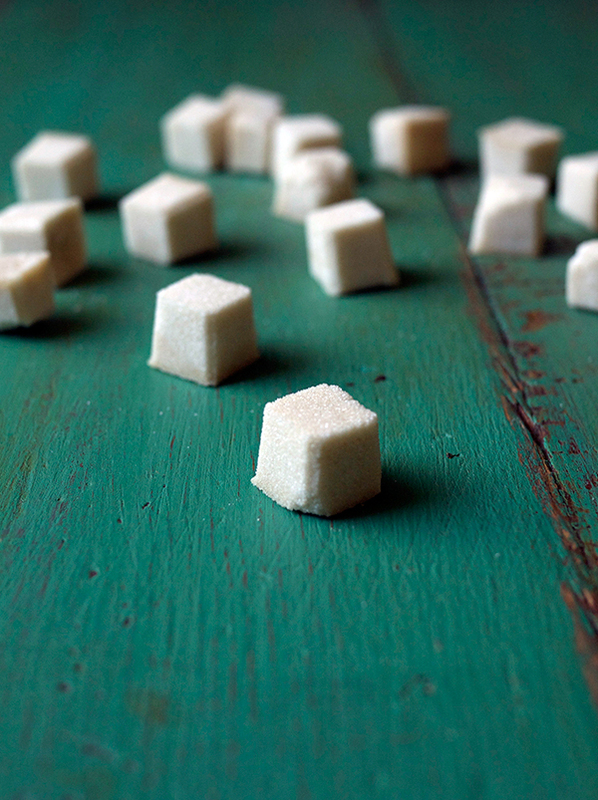 You want to make sure you are getting all the tiny bits of tea out. If you still see residue, strain an additional time. Store in a dropper bottle. Lapsang Souchong tea has a heavy smoke aroma. When you open the box it’s like getting hit with a face full of wood smoke. As a tincture, the essence gets meatier (as in smoked meat). Ok, so, here is the part when you can decide whether getting an atomizer is worth it or not. I tried experimenting with the tincture in 3 ways. First, I rinsed the glass and added the cocktail. Second, I swapped a tincture soaked cotton ball around in inside of the glass after pouring the drink in. 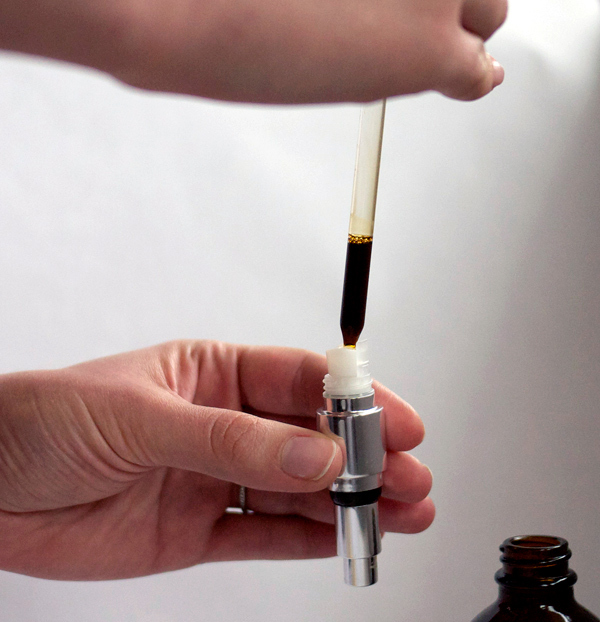 Third, I sprayed the tincture with an atomizer over the finished drink. Of the three I found the atomizer to have a stronger aroma over the final drink. Rinsing added too much of the smoke to the drink and was not the effect I wanted. The cotton ball didn’t create a strong enough smell for me. 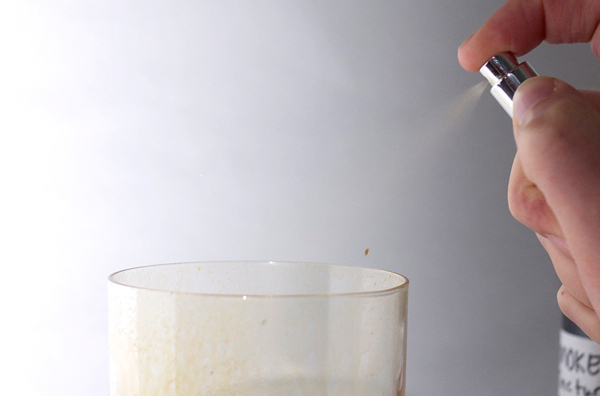 When I used the atomizer, I found I had more control over how much aroma went onto the finished cocktail and I appreciated being able to add more in small increments to achieve the final essence. So, if you are not one for unitaskers, then maybe an atomizer is not something you need taking up space in your bar drawer. I found a tiny atomizer that is under 3″, meant for perfume, but works great. 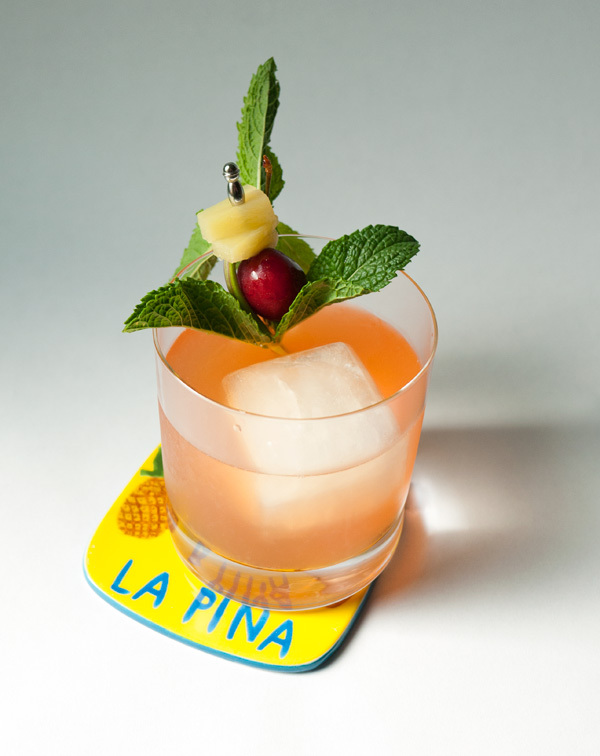 In a mixing glass 2/3 with ice, stir the first three ingredients about 30 seconds. Strain into a chilled rocks glass or goblet (you want some space for your nose to dip into; sounds gross but trust me). Garnish with an orange peel and over the top of the drink, spray about 3-4 sprays of the tincture. As you move into the glass, there is the meaty smoke aroma followed by the sudden bittersweet richness of the Boulevardier. 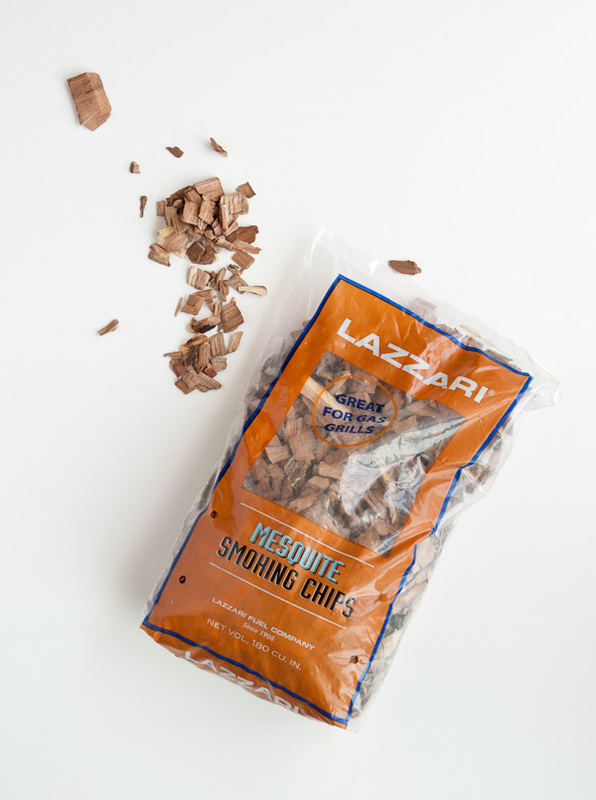 That first sip has the most smoke on it, while progressive sips become less and less potent, which lets you experience varying degrees of the aroma. If this is all a bit too much for you, have you had a Boulevardier cocktail yet? 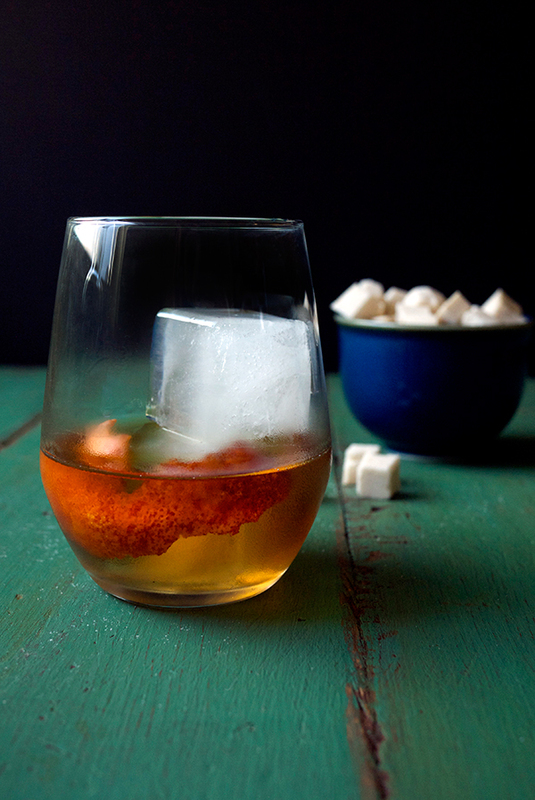 Go make one, it’s a great Fall cocktail.